Diabetics must pay special attention to the health of their feet. 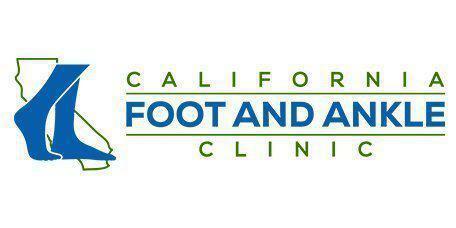 At California Foot and Ankle, in Riverside, CA, Dr. Sahand Golshan has extensive experience in helping to prevent and treat diabetic foot pain. Diabetes causes damage to both the blood vessels and the nerves. In the feet, the disease can result in pain, tingling sensations and numbness that can increase the risk of falls and even make it difficult to identify other causes of pain like sores or blisters. When painful symptoms go unnoticed, care can be delayed, resulting in infections and other issues. Plus, blood vessel damage in the feet causes diminished circulation which can also make healing more difficult. Taken together, the nerve and blood vessel complications associated with diabetes significantly increase the risk of dangerous foot sores or ulcers as well as the risk of toe, foot, and lower leg amputations. For people with long-term diabetes and those in whom the disease is not well controlled, even a minor issue like a blister or ingrown toenail can result in a very serious infection. What Foot-Related Symptoms Are Associated With Diabetes? How is Diabetic Foot Pain Treated? Diabetic foot pain (also called diabetic neuropathy) and other foot-related symptoms associated with diabetes require ongoing and vigilant management with routine care provided by an experienced podiatrist to help minimize symptoms and prevent infections. During office visits, the feet and ankles will be carefully evaluated and any issues including corns, calluses or ingrown toenails will be promptly treated. Ideally, patients should visit the podiatrist once a year or more frequently if problems develop. In addition to office visits, patients with diabetes should also perform regular surveillance at home to identify issues in their earliest stages so they can be promptly treated. Wearing comfortable shoes and custom orthotics can help reduce friction and pressure points that can result in blisters and corns while also helping to ease many symptoms.